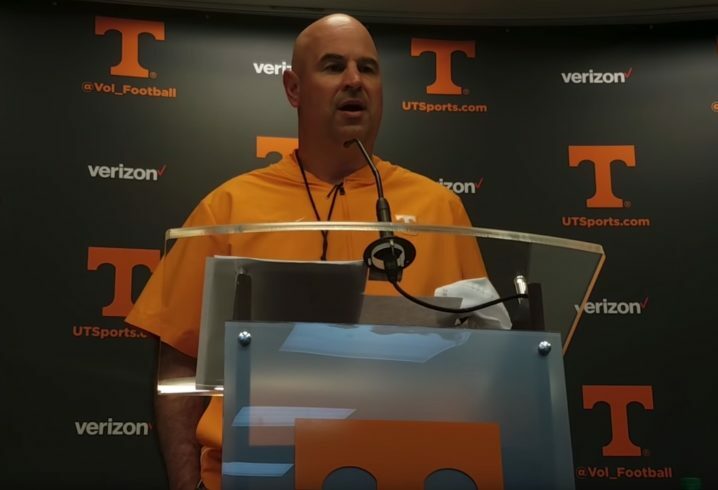 Tennessee’s second spring under coach Jeremy Pruitt is in the books. This was the first one, though, with Jim Chaney calling the plays for Pruitt’s squad. In the offseason, Pruitt made multiple new staff hires, headlined by plucking Chaney from Georgia. Fewer mental mistakes than previous spring practices. Vols still need depth and competition to produce quality depth. Impressed with punt return unit. Team needs to develop a pass rush. Great atmosphere all weekend on campus. Called new offensive coordinator Jim Chaney “a really good teacher” and thinks QB Jarrett Guarantano is handling the coordinator change well. Wants to see offensive linemen play lower with better pad angles. Believes in strength coach Craig Fitzgerald and doesn’t think improving strength will be an issue in summer workouts. Really likes LB Shanon Reid, who logged 10 tackles and a pass breakup in spring game.